January 7, 2014 — Recent research presented at the American Public Health Association’s 141st Annual Meeting in Boston concluded the combination of acetaminophen pain relievers and light to moderate levels of alcohol consumption produces a 123-percent increased risk of kidney disease among individuals. 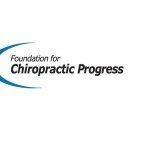 In response to the research, the Foundation for Chiropractic Progress (F4CP) urges the public to utilize low-risk, natural alternative options, such as chiropractic care, as a primary approach to pain relief. After surveying 10,000 people, researchers discovered that nearly half the participants who combined regular alcohol use (up to 12 drinks a week for men) and frequent use of painkillers containing acetaminophen reported kidney problems. In addition to kidney-related concerns, common pain medications have been linked to cases of addiction, accidental overdose, and in severe cases, death. Unfortunately, these methods of care have become routine for the 116 million individuals nationwide that suffer from chronic pain, according to the National Institute on Drug Abuse.